Here are 12 delicious family casseroles, from quick and easy chicken bake and a favorite tuna casserole to a ham and spaghetti combination and tasty meat-free casseroles. 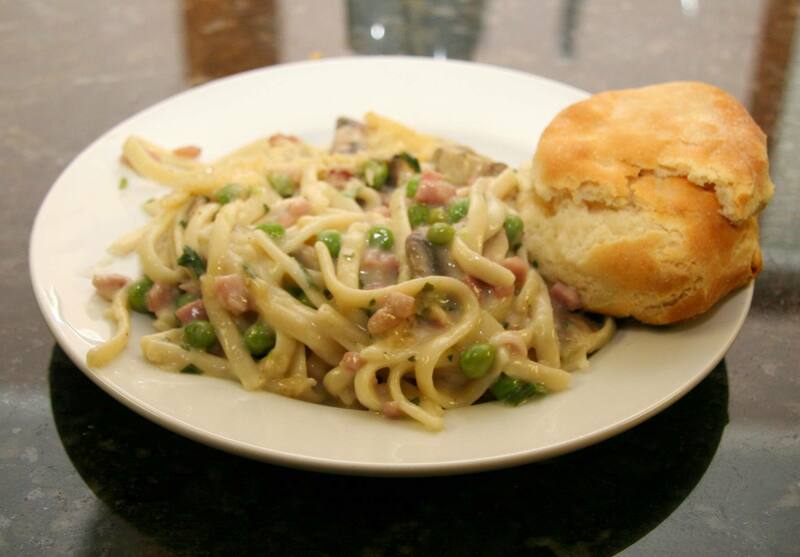 This casserole is a nice way to use leftover ham, or use a ham slice or packaged diced ham. Serve this tasty casserole with a tossed salad and biscuits for a hearty everyday meal. This flavorful casserole is made with chicken, noodles, mushrooms, and Parmesan cheese, along with an easy and basic sauce. This is a flavorful baked ziti casserole recipe, made with ground beef, green peppers, onion, tomatoes, basil, oregano, garlic powder, mozzarella cheese, and cooked ziti or macaroni. This delicious tuna casserole is a family-pleaser you'll make again and again. Serve this casserole with a tossed salad for a perfect meal any day of the week. This casserole is a great way to use leftover pork, and it makes an easy and tasty everyday family meal. This easy casserole is made with leftover roast beef and mashed potatoes. If you don't have leftover mashed potatoes, make your favorite mashed potatoes, using about 1 1/2 to 2 pounds of potatoes. This easy recipe uses frozen spinach souffle and shredded Parmesan cheese to make a tasty topping for chicken breasts. Serve this chicken Florentine with potatoes or rice for a quick and delicious family meal. This is a delicious meal for the family, baked in one dish, and it's so easy to prepare. Use plain or country-style seasoned hash brown potatoes in this recipe. If you prepare this in advance, cover with foil and refrigerate for several hours or overnight. When you're ready to bake it, remove the foil and bake until hot and browned. Top this easy pork casserole with shredded cheese if you want. A tasty pork and mashed potato casserole. This all-in-one meal is a family pleaser. Ground beef and vegetables are topped off with tater tots and shredded cheese.